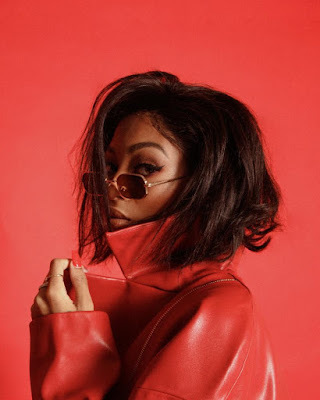 Richmond-born and Atlanta-based R&B singer Evoni has released her brand new single entitled, “SipSlo”. Known for independent anthems such as “Levi,” she brings a sense of raw soul and boundless freedom to R&B, alternative, and pop music. “SipSlo” inverts traditional songwriting paradigms as she assumes the role of a lover’s conscience admonishing him not to drink and get too turned up all the while delivering a banging hook. “SipSlo” demonstrates the buzzing talent’s evolution and hints at the path she’ll take on her forthcoming new project—to be announced in the coming months. Free spirits change the world. Disregarding inhibitions and rules, they inspire the forward motion of the culture by offering new perspectives. Singer, songwriter, and self-described “Free Spirit” Evoni does just that for R&B. Bringing an indie pop sensibility and sensitivity to the genre, the Richmond-born and Atlanta-based songstress imparts a soulful mystique on undeniable and unshakable grooves. A 2014 Soundcloud upload “Heroine” caught fire online and introduced her signature style. Eventually, she moved to Atlanta and Los Angeles where she further cut her teeth writing and recording. The independent “Levi” amplified her buzz as it quickly crossed 1 million streams. Countless hours in the studio and one big breakup later, 2017 saw her settle back into Atlanta as she cultivated a signature vibe. She captures said vibe on the 2018 single “SipSlo.” It also positions her for a major breakthrough in 2019.